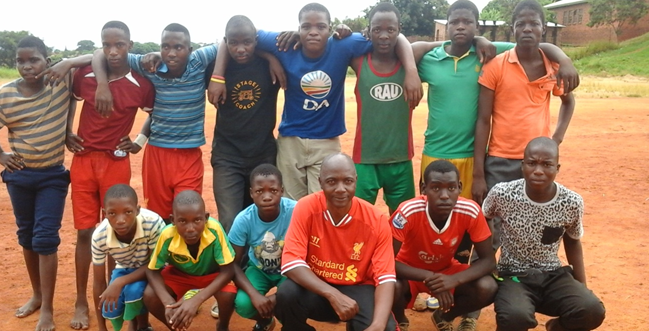 On the 28 of February 2015 we had a soccer match for both the drop- in centres which was Amukelani against Siyakhula and the score was Amukelani 2 and Siyakhula 1, it was one of the best times with the kids and they were so much passionate about soccer and hoping to have played throughout the day. After the match we had a nice lunch with the kids and Mr Frank later Gave motivation about soccer and how it contributes to our health. God loves us as the entire organisation; see how he always provides for us. On the 25 of March 2015 we held another soccer match of the drop-in centres and this time the score was Amukelani 4 – 0 Siyakhula, after that we had our delicious lunch. After the match and the lunch we set down for the words of encouragement by Mr Frank Mashego.